The Benefits of Drinking of Water. | AfroMadu. The Benefits of Drinking of Water. Something so simple, but hard for people do on a daily basis? drink water. Now that spring is slowly approaching and the sun will be getting hotter, it is BENEFICIAL to drink water and stay hydrated all the time. But creating the habit of keeping water in your diet can also have some perks throughout every season of the year! SKIN: looking for that natural glow? continuing to use the same chemicals to try to clear your skin? 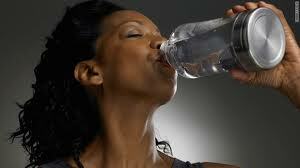 Drinking water habitually will NATURALLY treat your skin by detoxing and moisturizing cells in your body. LIPS: always wondered why you have to apply those extra coats of lip moisturizer? just like your skin, drinking water will moisturize the cells in your lips, decreasing the amount of outside moisture to keep moisture locked in. METABOLISM: slow metabolism? 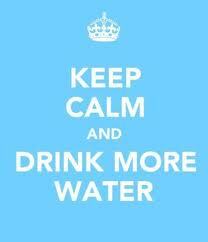 drinking water can regulate a sufficient metabolism and digestive tract! EATING HABITS: Drinking water before a meal can actually reduce the amount of food you eat. Trying to eat smaller portions throughout the day? Water is your friend. BECOMING HEALTHY: Overall, restoring your body with the nutrients and liquids it needs to function properly is always beneficial. Trading in a soda for a glass a water each day can be the fewer changes you need to complete the journey of living a healthier. Besides, who wouldn’t want to live healthy? The average water intake is 7-8 glasses a day. To reduce spending money on the Earth’s biggest resource, invest in a water bottle, and fill it up every time you run out of water! Water is beneficial to one’s life. Stop playing with yours and take a sip, you’ll live longer!